Aaron Frederick crafted this Liner Lock. 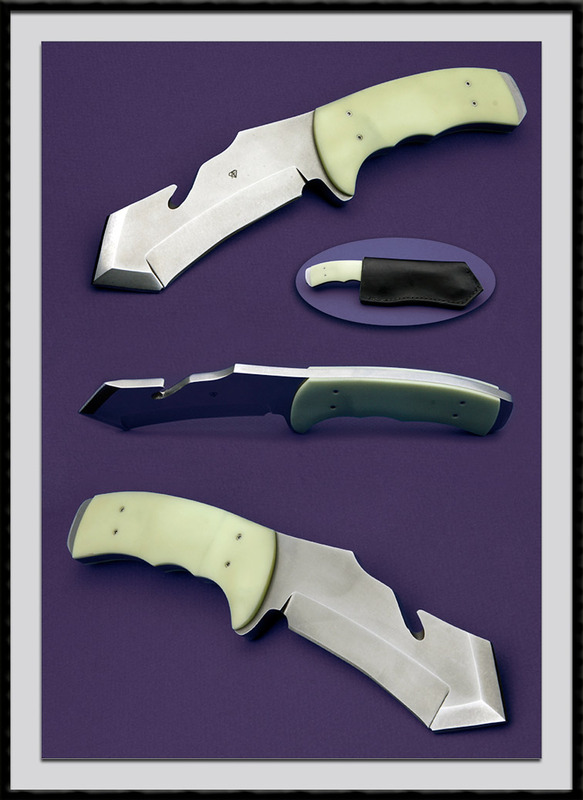 CPM 154 Blade steel, BL = 5", OAL = 10 1/4" and Natural G10 scales that glow in the dark. Condition is Mint.